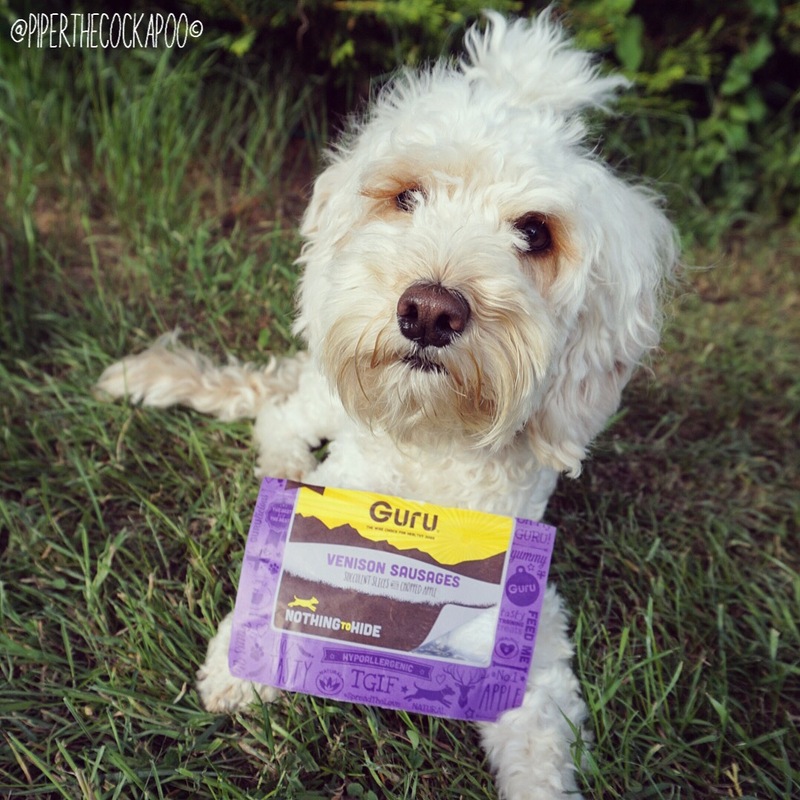 Unlike most dry dog foods, Guru is cold pressed. It’s cooked at much lower temperatures than the usual dry extruded kibble, so it therefore locks in all the nutrients & flavours, making it super yummy for the dogs (and great for fussy eaters!). 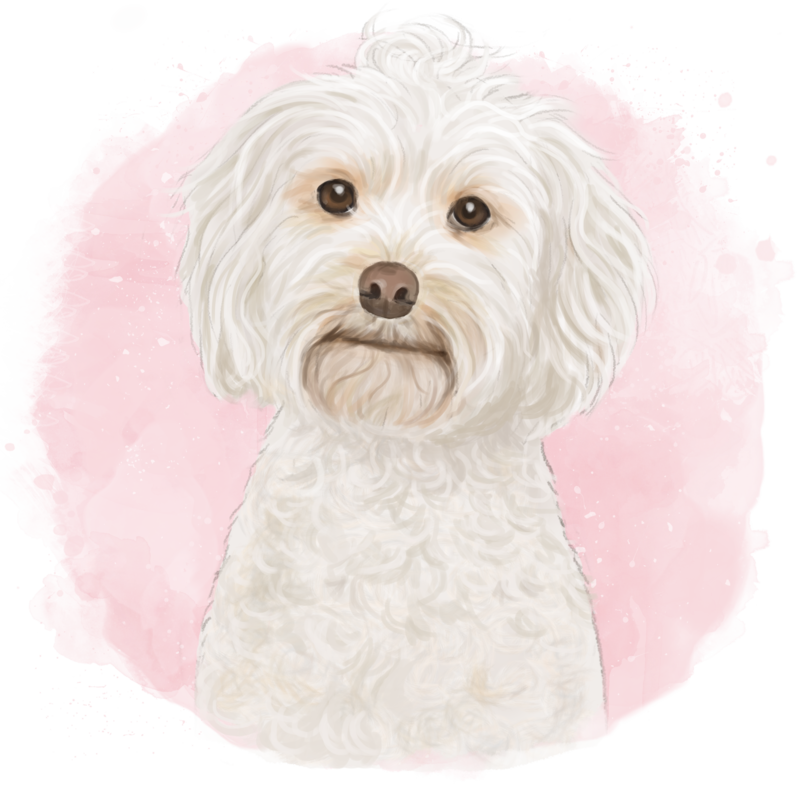 The cold pressed element makes the food super gentle on the digestive system, this video here explains how cold pressed food digests in the dogs stomach. Because of the way the food breaks down, it means it can be turned into porridge by simply adding hot water. This is perfect for those doggies who like a bit of variety in life, or slowing down those super speedy eaters. Watch the magic happen here! 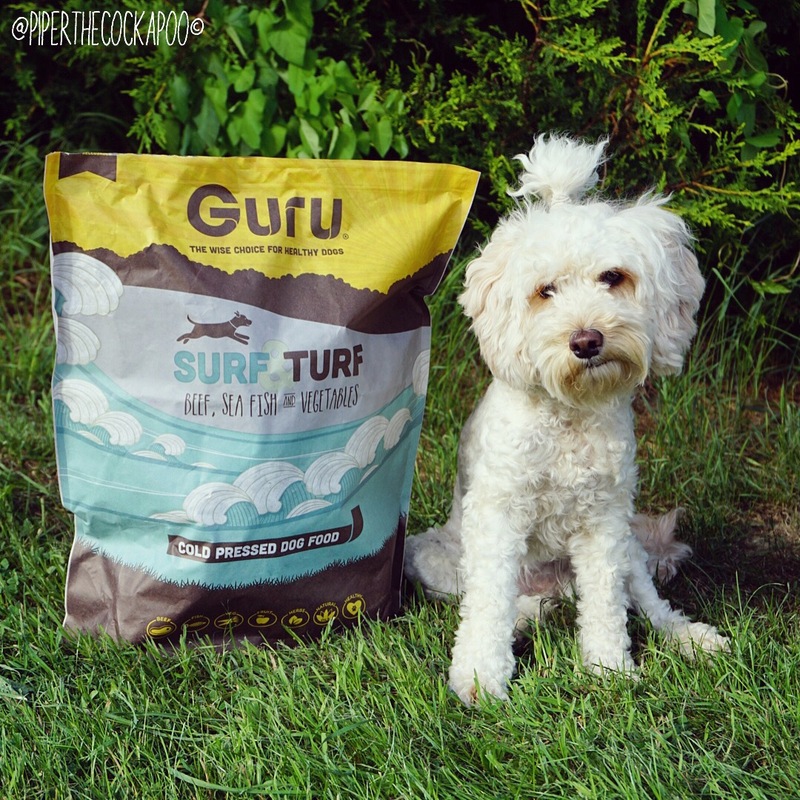 When we first joined #teamguru we started with their Surf & Turf food. The Beef, Sea Fish & Vegetable flavour went down a huge hit. So much so in fact, that we had to give up with the gradual swap as Piper used to pick out the Guru and leave her old food. It really was evident that we had found a food that we both loved! 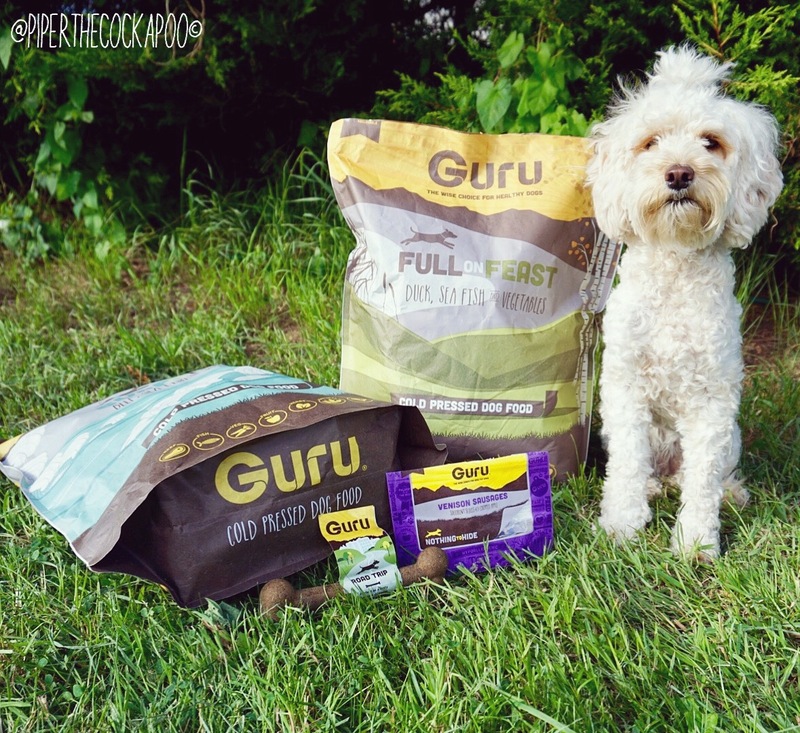 About 6 months after we discovered Guru, they released their Grain Free recipe, Full on Feast. We were super excited to try this and as I expected Piper went crazy for it. 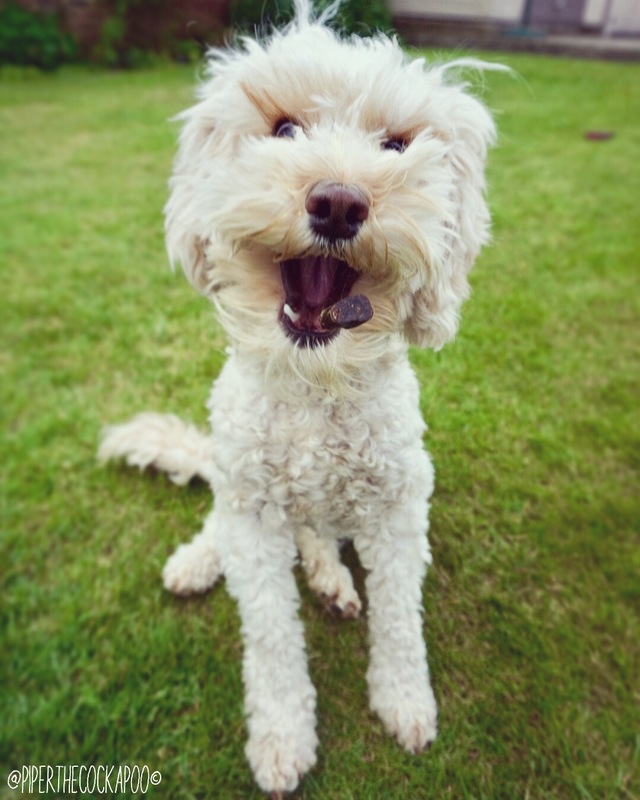 We prefer to feed the Full on Feast food as it helps with Piper’s itchy feet, but our Labradoodle, Teddy, is solely fed on Surf & Turf as he loves the beef flavour. Do you live a busy lifestyle like us, feed on the go a lot? Then Guru’s Trip Bones are the solution you’ve been looking for. The bones are a meal on the go, or a tasty snack. They’re compact & easy to take with you on the go. They are quite hard, so keep the dogs occupied for a while but also help to clean their teeth, perfect! A super healthy dental chew solution. 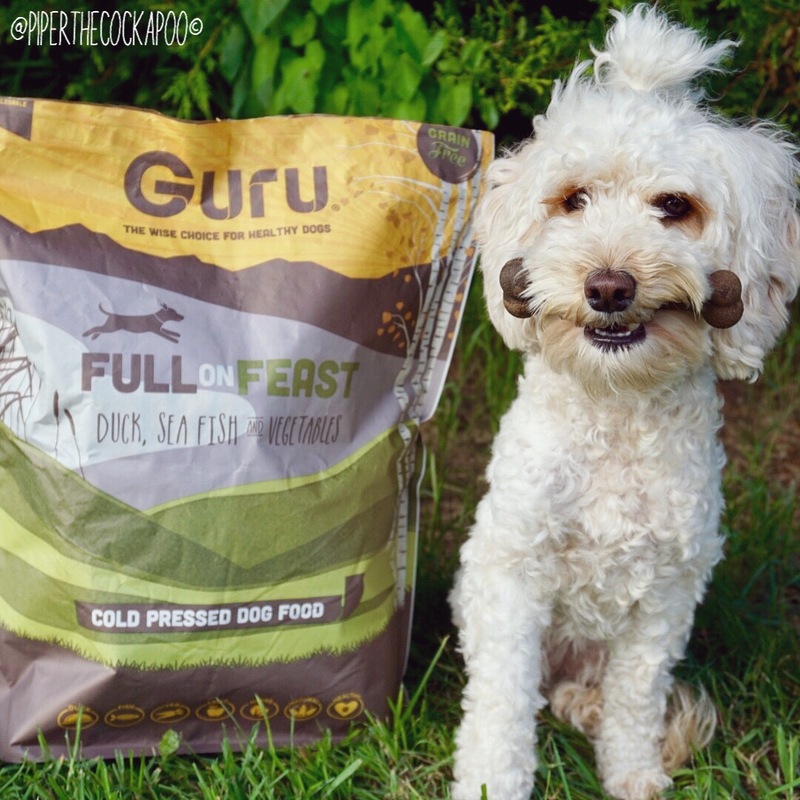 The newest Guru Pet Food craze is the “nothing to hide” Venison Sausages. These were only released on Monday (03/07/2017) and Guru Geeks all over the country were doing the #sausagedash, trying to get their paws on these tasty treats. The sausages are completely natural and only contain venison, sweet potato & apple, the perfect training treat! 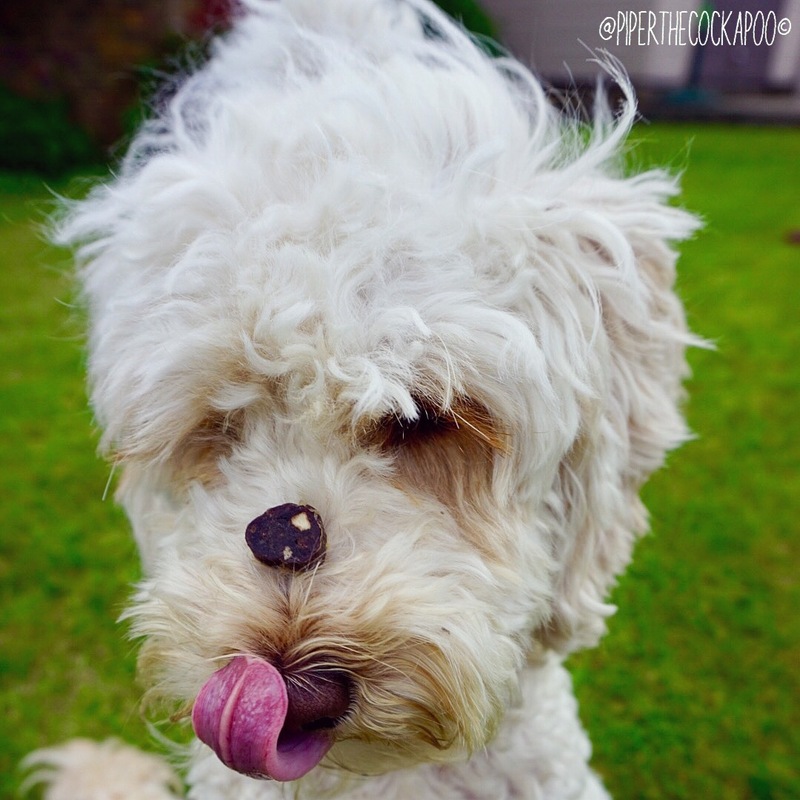 These are probably one of Piper’s favourite treats to date, she can sniff them out from miles away! The soft, juicy texture is certainly a hit with her! Guru has been a real game changer for us! When I was researching dog foods I was concerned at how much the better brand were going to cost. How wrong was I? Piper eats 40-45 grams of food per meal and this costs around 35-40p a day! Yes that’s right, £12 a month to feed one of the best dog foods available! (That’s actually less than the poorer quality food she was fed previously, a win win situation!). Because the food is cold pressed, it is much denser and therefore you feed 1/3 less than normal dog kibble. This means a bag of food lasts 30% longer and subsequently works out to be a really affordable food for your dog. If you don’t believe me, you can check out the allaboutdogfood website. 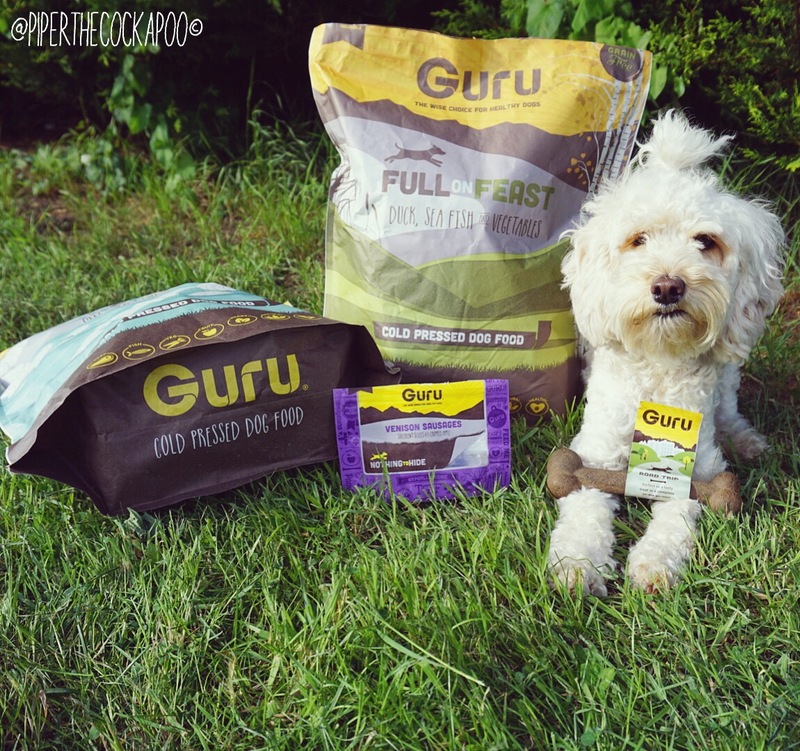 Not only can you read other customers comments, this website actually independently reviews a huge range of dog food available on the UK market, and Guru scores 4.9 out of 5. You couldn’t get much better than that! 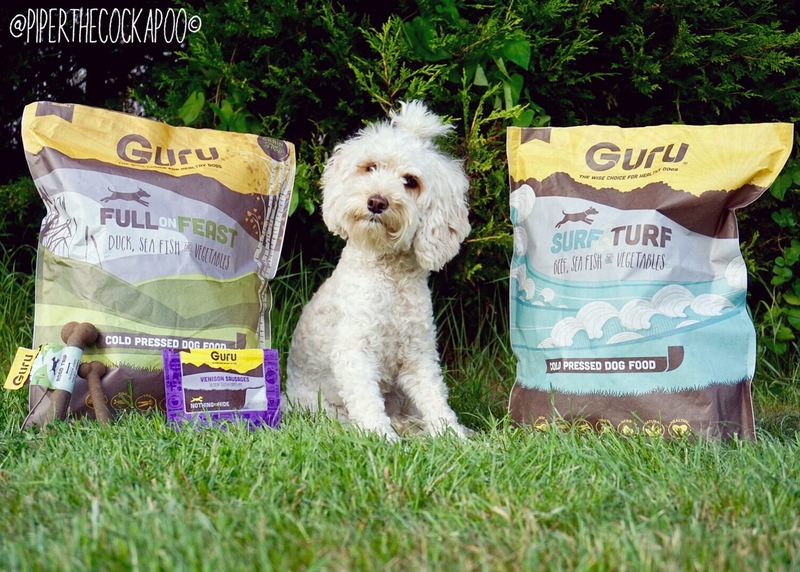 We hope you’ve enjoyed reading about how much we love Guru Pet Food! Yayyyyy!!!!! 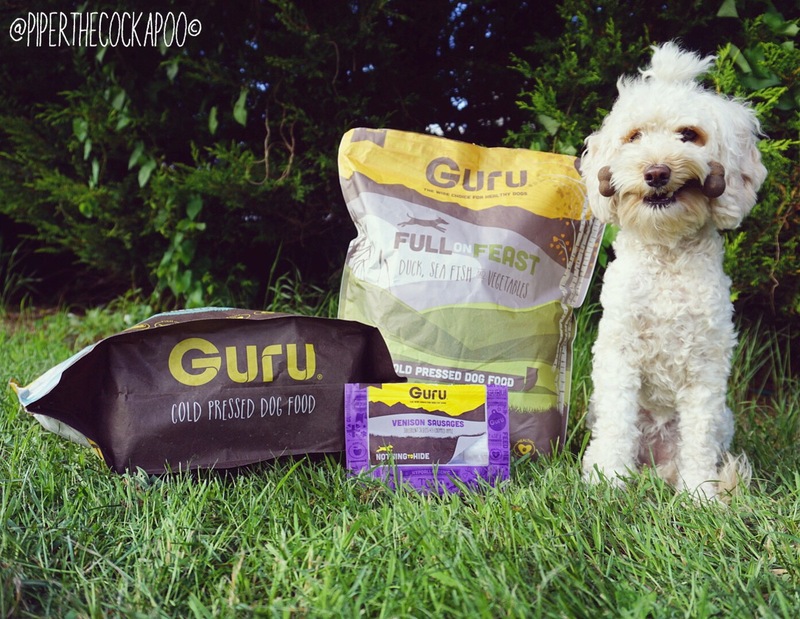 We’re over the Moon that you’ve started a blog and the fact that one of your first blogs is Guru..!!!! We adore your photos and there’s so much information that your readers can really relate to.